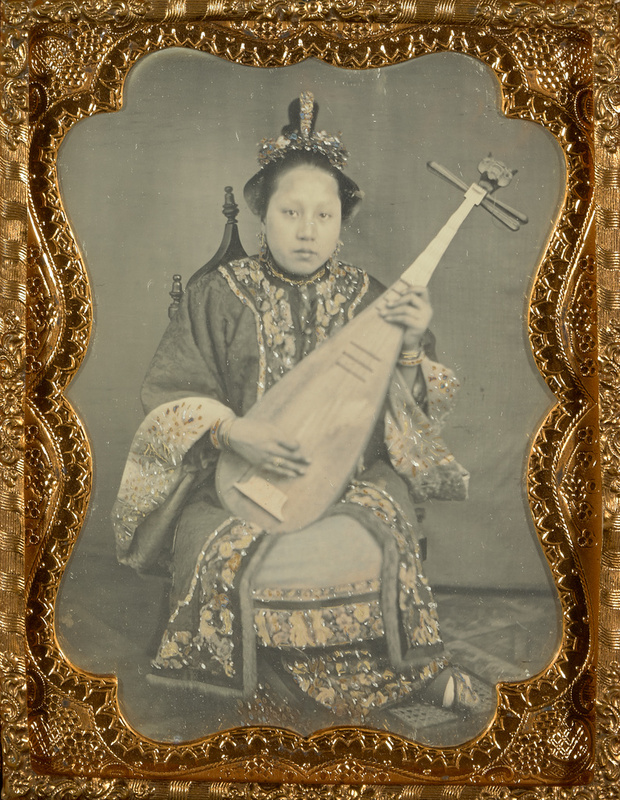 A young Chinese woman in a lushly embroidered garment holds a pipa, or Chinese mandolin, as if she is playing it. The arrangement of ornaments in her carefully coiffed hair resembles the neck of her instrument. Her tiny, bound foot rests awkwardly on its side atop a cane stool, drawing attention to its uselessness for walking while also seeming to balance her for the length of the exposure. The riot of textures and the sitter's elegance overcome the simple studio setting of fabric backdrop and tiled floor. 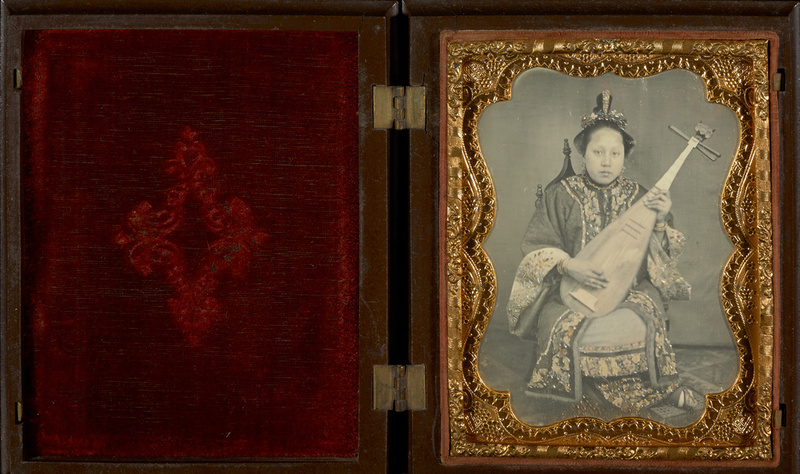 The highly patterned metal mat surrounding the daguerreotype provides an appropriate setting for the subject's richly decorated robe.